The 4-inch RawEdge HomeKits are perfect for DIY homeowners and are used to permanently delineate landscape beds, walkways and gardens from lawn areas. Each Homekit includes 5 edging pieces and 15 hairpin stakes. RawEdge is not plated or powder coated, allowing a natural patina to develop over time. Made of durable steel material and manufactured in the USA. Each Homekit includes 5 pcs of 8 ft edging, equal to approximately 40 linear feet. RawEdge HomeKits include edging that is rigid enough for clean straight runs and flexible enough for creating decorative curves with ease. 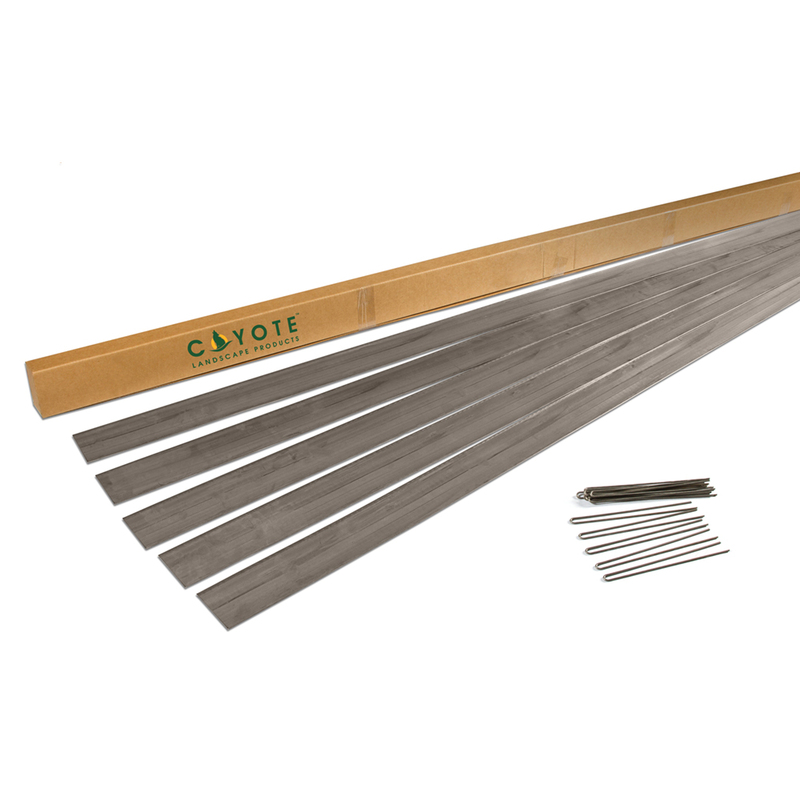 Our 4 inch by 94-inch-long steel edging is specially sized for quick and easy installation. The rolled-top edging provides an added safety factor compared to straight edging. RawEdge rusts over time, showcasing the natural patina of raw, uncoated steel. Each Homekit includes 5 pcs of edging, equal to approximately 39 linear feet. When ordering remember to account for overlap at each joint or consider using our Raw Speed Clip for zero overlap, allowing for a cleaner installation. Check our size guide to select the right thickness for your application!